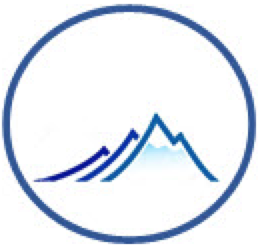 Mountain Life is a full service, local community association management company that specializes in the management of single family homes, townhomes, and condominiums. Our mission is for your homeowner’s association to support its members by protecting property values, improving the aesthetics of the community, and creating an enjoyable facility atmosphere. Mountain Life uniquely approaches each community we partner with to develop a management proposal and plan to ensure the community’s goals are met within budget and in the time frame communicated. Our credentialed property management professionals will help guide you through every facet of association management including the creation of new policies and procedures, enforcement of restrictions, review of governing documents, annual budgeting, collection of HOA dues, contract negotiations, and ultimately assisting the Board with all matters relating to the ongoing success and development of your community. At Mountain Life, we understand that our reputation has been earned one association at a time. Through the success of each HOA, and through the satisfaction of each homeowner living within that community, Mountain Life has built a foundation of service unmatched in the Pocahontas County marketplace. Entrust the management of your association with a well-versed and experienced team with over 30 years of COA and HOA management experience. Owner Relations & Communication – Transparency is best executed when communication is streamlined and easily accessible. When board members know the issues concerning residents, executive decision-making will more likely reflect the interest of your residents. Conversely, when the residents are aware of the conditions that predicate board level action, they are more likely to act in accordance with the community association directives. We take pride in our communication, whether it be a vendor, resident, or a board member and we are always available for our owners and clients. Our Website & Social Media Resources – Our website, along with our Facebook page serve to be the central hub of our organization. With an emphasis on efficiency, our simple design offers ease-of-access for our clients’ and residents’ needs. Users are able to access contact information, news relevant to our business, announcements, and up-to-date descriptions of our services. Assessment Collection – Unenforced delinquencies are the quickest route to undermining the growth of your community association. We know how to create a healthy and successful plan for your residents in order to ensure assessments are collected with immediacy. Our innovative approach to communication and multiple payment methods alleviate financial strain on both homeowner and association. Association Maintenance – Whether it’s round-the-clock custodial work, structural repairs, beautification projects, and other services, Mountain Life will designate the tools necessary to keep your community operating at the highest standards. Emergency? We’ll be there. We look forward to the opportunity to learn about your association and how our services may benefit you and your neighbors. At Mountain Life, your home association is our top priority.